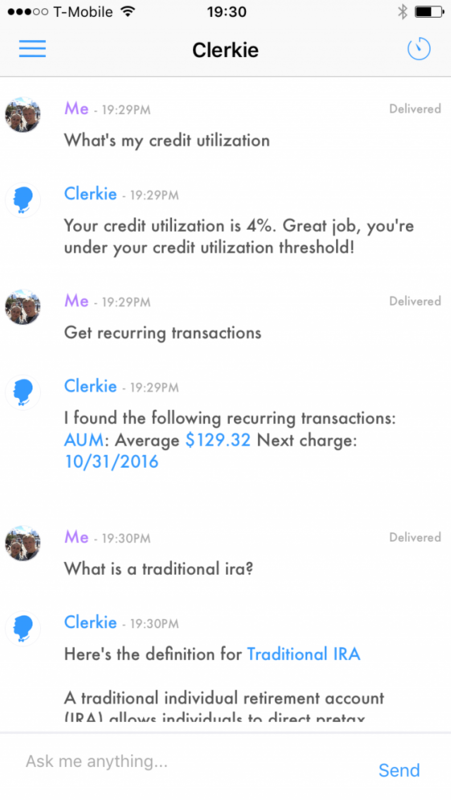 Clerkie wants to be your trusted assistant for personal finances. 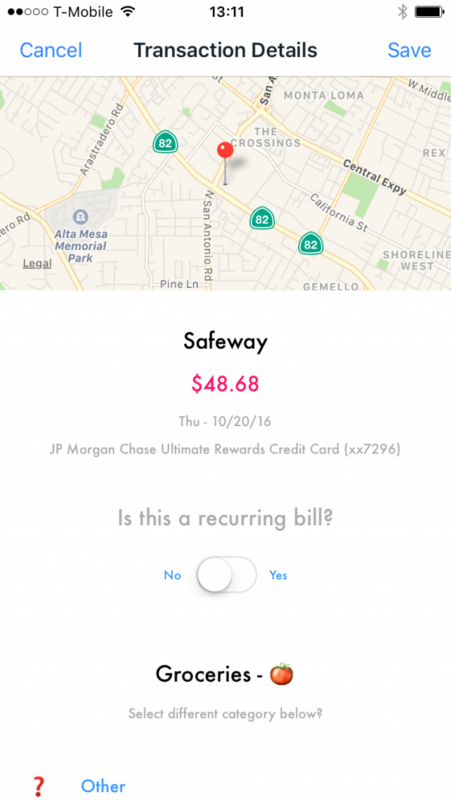 The app is simple to use and takes a holistic approach to managing your everyday finances. 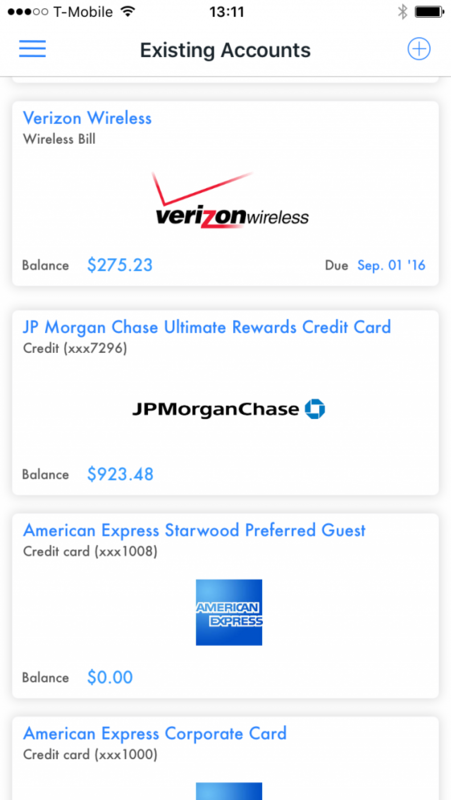 It provides tools for budgeting and optimizing credit card rewards, gives recommendations based on your spending habits, pays bills, surfaces recurring charges, and alerts you when you get hit with a fee or go over budget. 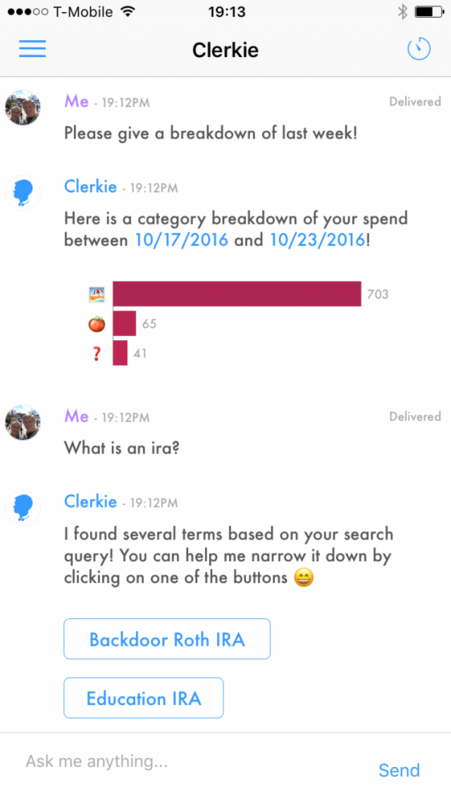 You can either use the integrated chat or traditional user interface to interact with the app. 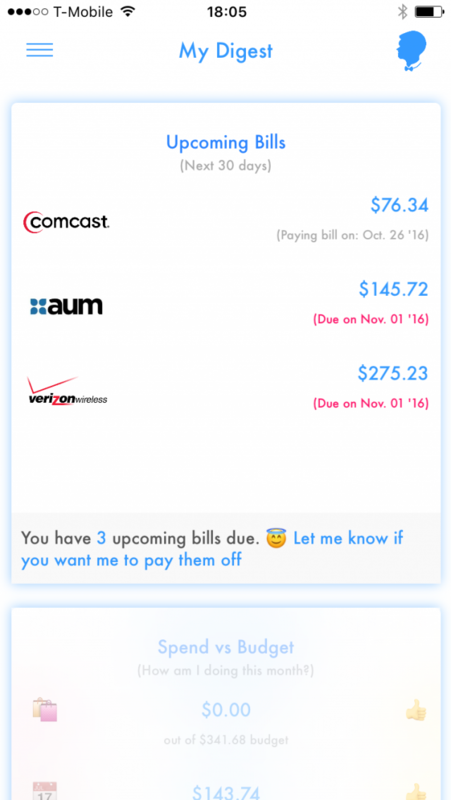 We’re the first personal finance app to provide chat functionality without limiting you to canned or overly simplistic messages. We sincerely believe that everyone has the right to sound financial advice. Current solutions lack the functionality and insight to provide useful, actionable recommendations and the right tools to truly simplify managing your own finances. Clerkie’s goal is to be your trusted assistant for personal finances and we hope that you’ll join us on the journey!